This rotary drilling rig is proved to drilling in many strata such as clay, unconsolidated soil, sand soil, silt stratum, backfilled earth, the stratum of gravel, weathered rock and frozen ground, etc. Friction Kelly bar and interlocking Kelly bar can be chosen to mount on this engineering machinery. SG Series is specialized for Trench excavation to form diaphragm wall. This is widely used for construction of pit strutting, dam anti-seepage dock cofferdam, and barrel, remaining kind of highly efficient, multifunctional infrastructure construction machinery. SG Series machine installed level inclinometer, it inside the waterproof box, which attached on the grab frame; it can detect the vertical movement and deviations of the grab directly. The signal will be transmitted through the electric cable to the monitor display on the control cabin. The display will show the grade of deviation and verticality grab. SH Series is a new type of piling machine with big triangle structure, which combines the new technology and process of the modem hydraulic piling machinery. Therefore its performance reaches or exceeds the advanced level if the same products in the world, meanwhile, the whole machine with easy operation and high working efficiency is capable of digging deep pitdue to its many international brand key accessories. Therein Model SH30 & SH36 are widely applied to the construction of high buildings, bridge, water conservancy and so on and especially proper for the complex geological layers containing much water. SH Series are an ideal equipment for all kind foundation construction. Shanghai Jintai Engineering Machinery Co., Ltd, is the largest specialized foundation machinery factory in China. Jintai HAS more than 50 years experience and IS the oldest original manufacturer in the field of Geological exploration, water well drilling, and mining construction. The Jintai's SD Series of Rotary Drill, the SG series Hydraulic Diaphragm Wall grabbing system are most popular in the China Market and recognized as one of the most renowned best drilling product. The Jintai rigs are employed in most of the major infrastructure project including highway, bridge, high speed train, metro, subway station, deep foundation for high rise building etc. and with excellent result and appreciation by the users. The SD-Drill and SG-Grab are with international quality approval, including the 'CE' quality approval for the European market. Today, Jintai 's drill are exported to many countries in the world, our aim is to become the 'CHINA-BEST' Foundation Machinery. 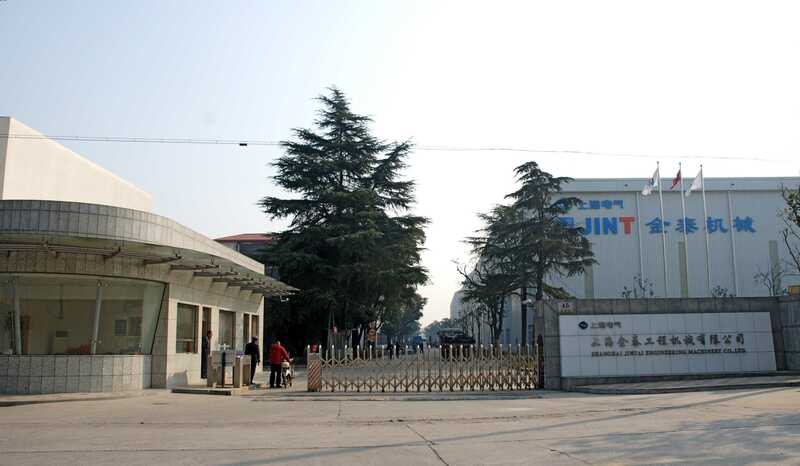 Jintai is located in Anting Shanghai, the famous location for the Heavy and Auto industries. Jintai is part of the Shanghai Electric group, China’s largest single heavy machinery collectivize including power plant, electric transmission, high-speed train, mining and heavy industry, providing a strong technical support to Jintai. For international market, Jintai cooperate with Houston Machinery (China) Co. Ltd, with head-quarters in Hong Kong for international sales and service to all overseas customer, technical service centers are in Middle East, Europe, Asia, America to provide technical support.